Undie Sunday, Sunday, December 9th & 16th, Main Hall, 9:30 & 11:00 am. 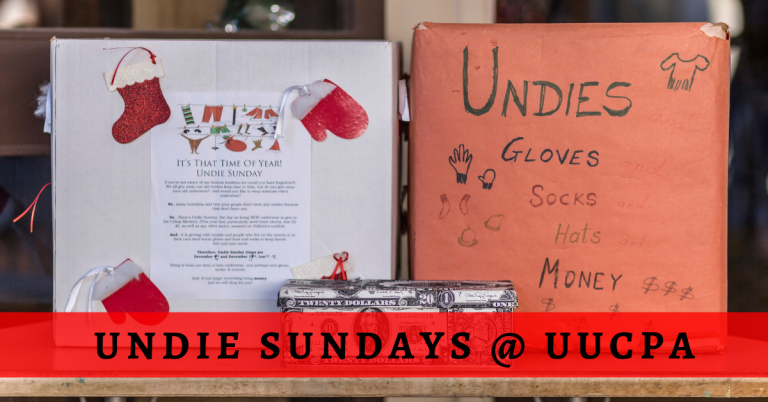 Undie Sunday is the time we ask everyone to bring one new set of underwear and a pair of warm gloves, socks, or hat to give to homeless people. For them, these things are difficult to obtain and are particularly helpful during the cold months of the year. Items donated at UUCPA will be distributed by the Opportunity Services Center, of LifeMoves—formerly InVision—serving homeless people in Palo Alto. 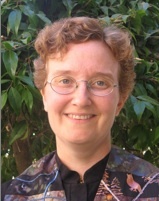 Our Litsi Indergand, now in Sacramento, was a big supporter of the Center and our donation program. Money, to shop for you and buy for specific people. Cash or check made to UUCPA.